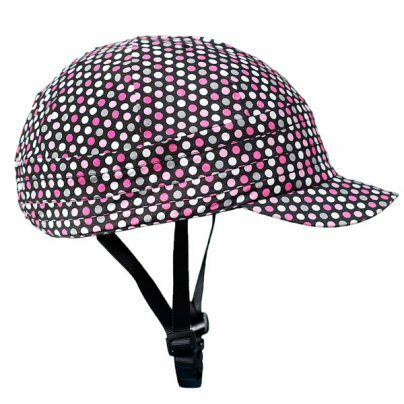 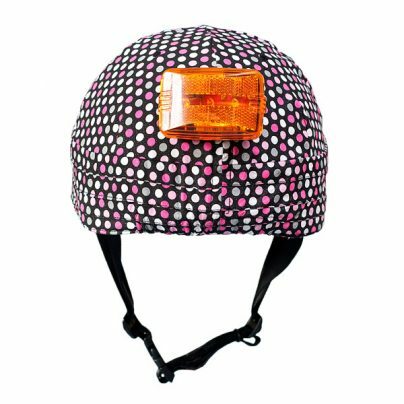 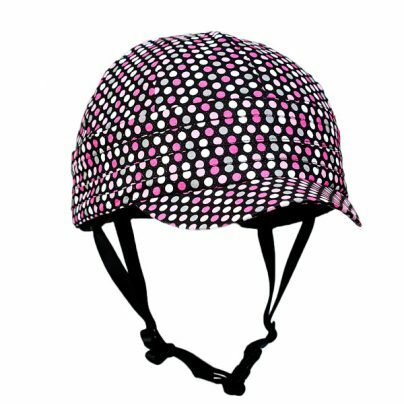 Feel the cool breeze while looking great in Kelly, a fun lightweight cotton helmet cover with pink/grey polka dots on a black sparkly background. 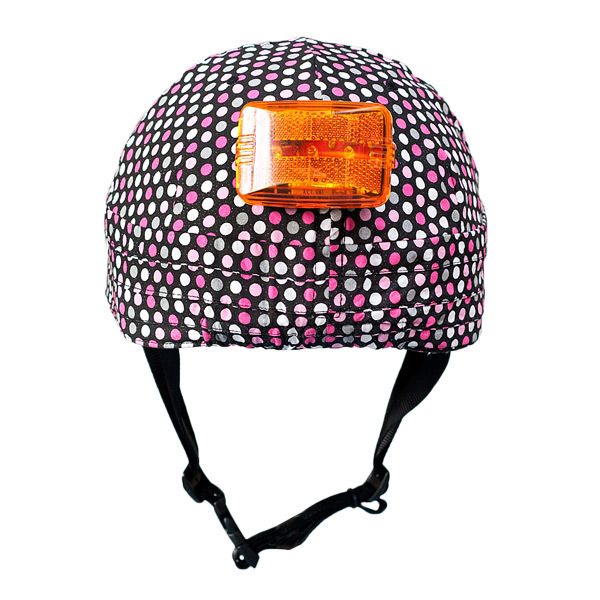 The brim will provide some shade from the sun and there’s a loop on the back to attach a safety light. 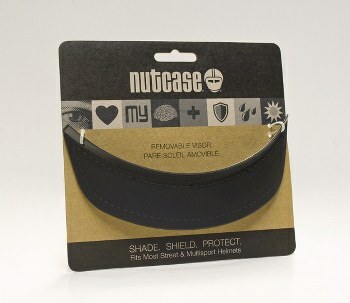 RockiNoggins helmet covers are made in Seattle USA and fit most types of bicycle helmets. 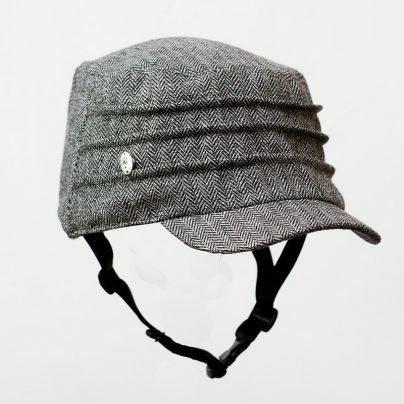 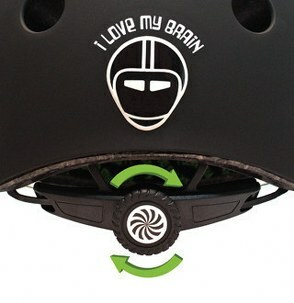 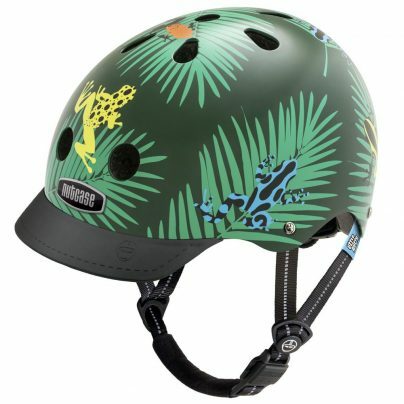 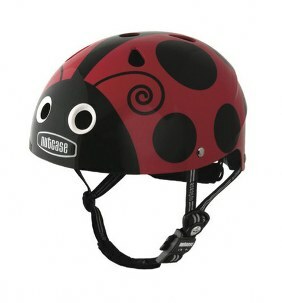 They come in two sizes S/M (kids and women with small helmets) and L/XL (most adults and oval/pointy road style helmets). 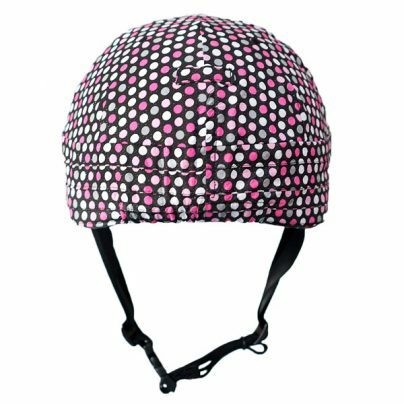 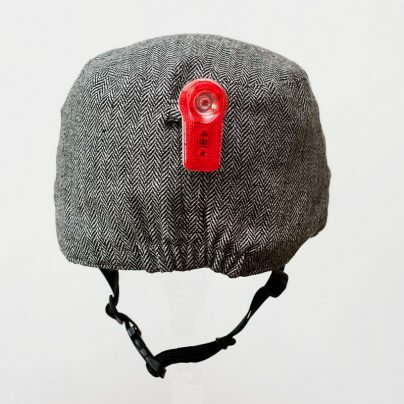 RockiNoggins helmet covers are simple to attach and remove and turn a boring helmet into something cycle chic that reflects your personal style. 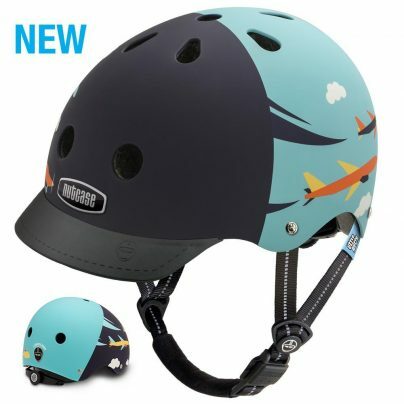 Want a new look? 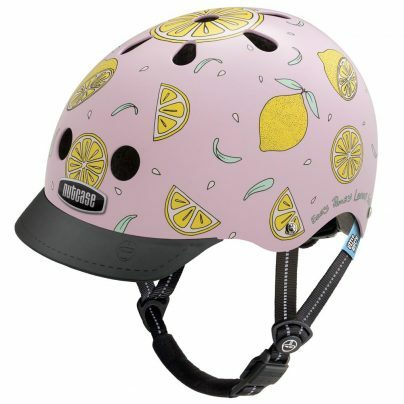 Just change the cover to match your outfit.